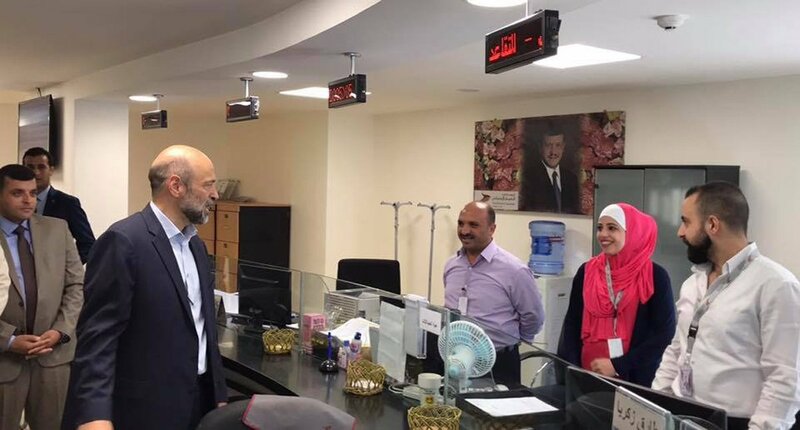 PM Omar Razzaz during his visit to the Civil Service Retirement Directorate, August 7, 2018. Jordanian Prime Minister, Omar Razzaz, has been very active since the day he received his letter of designation as PM. It’s obvious that the man is a busy bee; visiting local institutions, public meetings with foreign envoys, friendly stops like that Arab Culture Kiosk visit in Down Town Amman, and even paying unexpected one like that famous field-inspection on Bashir Hospital last week. However, it was recently discovered that he is also a man who knows how to fix things around his own house. Recent photos of Razzaz showed a small visible wound on his head which raised many questions that were soon answered. According to a close source of the PM, the wound is caused by the PM himself while he was fixing a window in his household in Weibdeh area, Amman. “He prefers to personally fix things in his house,” the source told Hala News. Razzaz is obviously a man who wants things done. 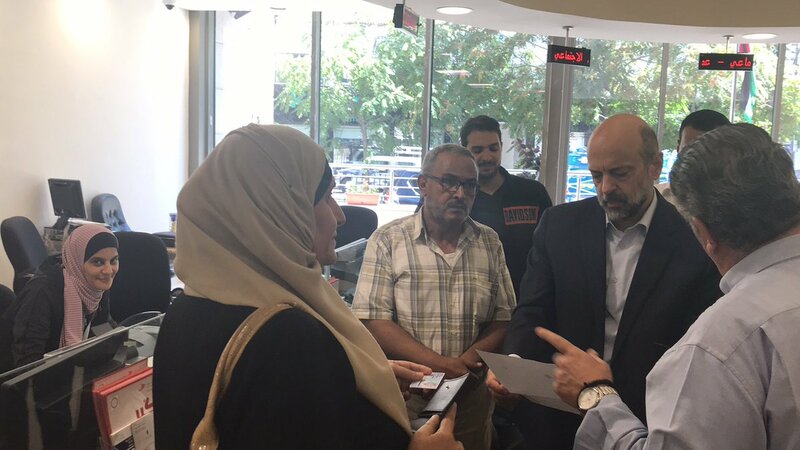 Just today, Razzaz paid a visit to the Civil Service Retirement Directorate and to the Administration Center of the Social Security Corporation in Amman, where he met with citizens and heard their comments and listened to their feedback first hand.